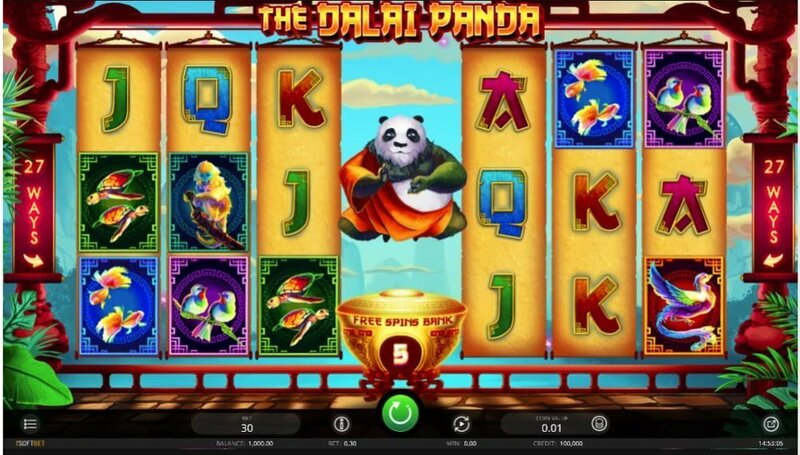 The Dalia Panda is a low to medium variance iSoftBet video slot that’s played on 2×2 reel sets (Two Chances To Win) with 27 ways to win. In the middle of the two reels you’ll see The Dalia Panda that pulls the reels together for the big wins (729 ways). The slots connects players with a gorgeous Asian theme with many chances to test their luck. It has a non-progressive jackpot of 1,000 coins on a single spin. 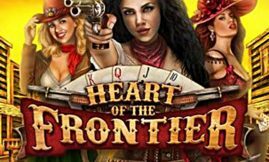 With a simple game mechanic it’s kitted with a free spins feature that awards up to 50 free spins with extended/expanding wilds and multipliers of up to 2x. 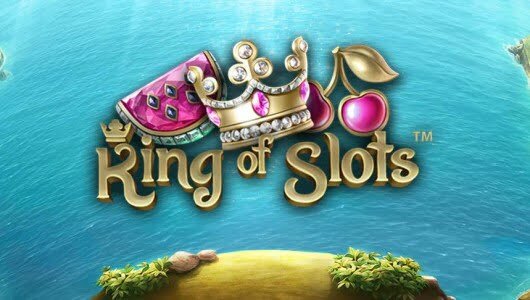 The slots is playable from £0.30 up to £30 per spin on mobile devices and PCs. iSoftBet provides a vast portfolio of innovation-packed gaming solutions with a focus of introducing compelling new content laced with 3D graphics. Against the backdrop of the reels there is a mountain range and symbols on them are the Yin/Yang Bonus (scatter), wild (green plant), The Dalai Panda, fish, birds, turtles, monkeys and cards from Jack to Ace (low value symbols). The symbol to look out for is the Yin and Yang bonus, 5 of them on the reels at the maximum bet per spin pays 1,000 coins (33x your stake). The RTP or average return to player percentage of The Dalia Panda is above 96%. With a range of customization options it’s nice to see that the developer focuses on responsible gambling too. The game has a built-in deposit and session limit, an Auto Play feature, coin betting range, Max Spin button and a paytable. 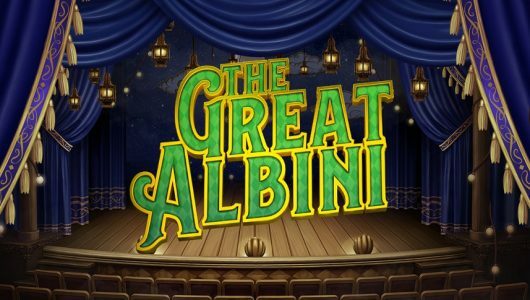 Just below the reels is the ‘Gold Pot’, this is the Free Spins Bank that starts with 5 free spins, an extra free spin is added to the pot if you get a winner on both sets of reels. Wins during the base game occurs on every 3 to 5 spins with the odd win of 10x or more on every 15th to 25th spin. The wild symbol is the green plant, winning combinations are completed by it when it substitutes adjacent symbols bar the bonus scatter. 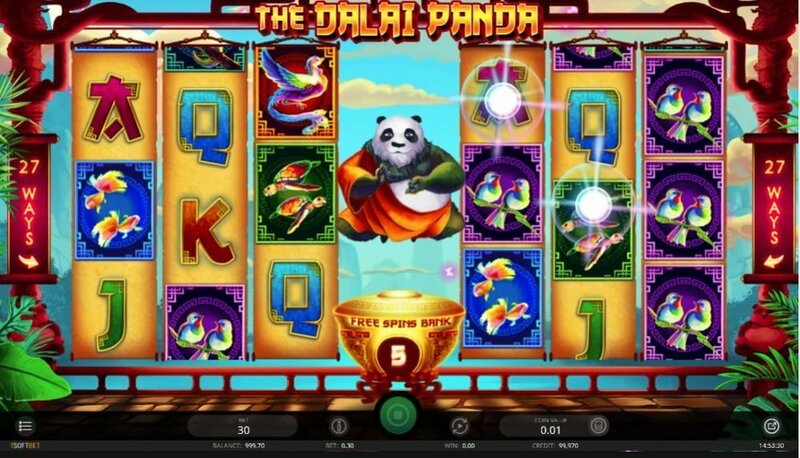 The Dalai Panda free spins feature is triggered the moment 3 or more Yin and Yang bonus symbols appear any position on the reels during the main game. The free spins feature begins with 5 free spins, an extra free spin will be added for every winner on both reel sets. 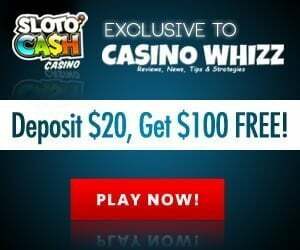 Once the free spins is initiated it becomes a 729 ways to win machine instead of the 27 ways to win. Also, each free spin win is accompanied by expanding wilds, extra wilds and a 2x multiplier that doubles all free spin wins. It’s a re-triggerable bonus mode, should another 2, 3, 4, 5 or 6 scatters appear 2, 5, 10, 25 or 50 free spins will be added to your current free spin tally. 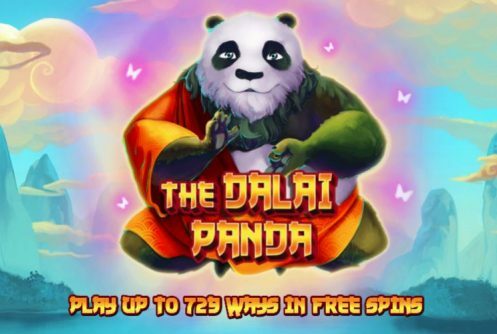 The Dalai Panda’s anticipation heats up even more during the free spins with frequent re-triggers giving you up to an amazing 50 free spins with extended wilds, expanding wilds and a multiplier that doubles all payouts (2x). Base game wins are not too bad either, the key is to trigger the free spins since this is where the game’s main potential lurk. How would you describe base game wins? Wins during the main game are quite good especially especially if the wilds pitch and when The Dalai Panda combines both reels. Does it have any innovative features? Yes it does. 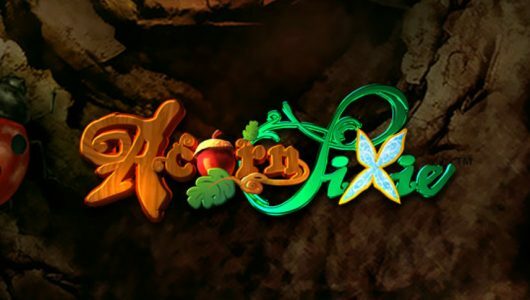 Just below the reel set the ‘Golden Pot’ starts with 5 free spins – every winning combo that occurs on each reel set an extra free spin is added to it. During the free spins feature the mechanic increases to 729 ways in each direction. Basically you’re guaranteed a payout on each free spin accompanied by a 2x multiplier and loads of wild extras. How many spins does it take before the free spins is played? You can work on 60 to 70 spins, but it becomes more difficult to trigger as you increase your average bet per spin.